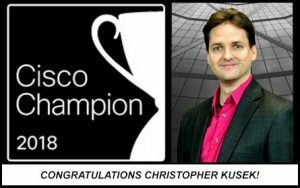 Christopher Kusek named as a Cisco Champion 2018! Xiologix’ CTO Christopher Kusek was notified on January 19, 2018 that he had been selected as a 2018 Cisco Champion. Cisco Champions is a global group of highly influential IT technical experts who enjoy sharing their knowledge, expertise, and thoughts across the social web and with Cisco. The Cisco Champions program encompasses people with interests across Cisco’s technology portfolio, including Data Center, IoT, Enterprise Networks, Collaboration, and Security. This is Christopher’s 3rd consecutive year to hold this honor. One does not need to look very hard for news of recent cyber attacks. As 2017 numbers come into focus, the problem is continuing to grow. According to the ITRC Breach Report 2017 breaches increased at about 21% over 2016. Most of the breaches fell into the Business sector followed by the medical/healthcare sector. Some big names were involved such as Equifax, Yahoo, Verizon and more. But notably, over 50% of cyber attacks are aimed at small -mid-sized business that don’t make the national headlines. Check out the Real Time Threat Map to get a visual on current threat activity. 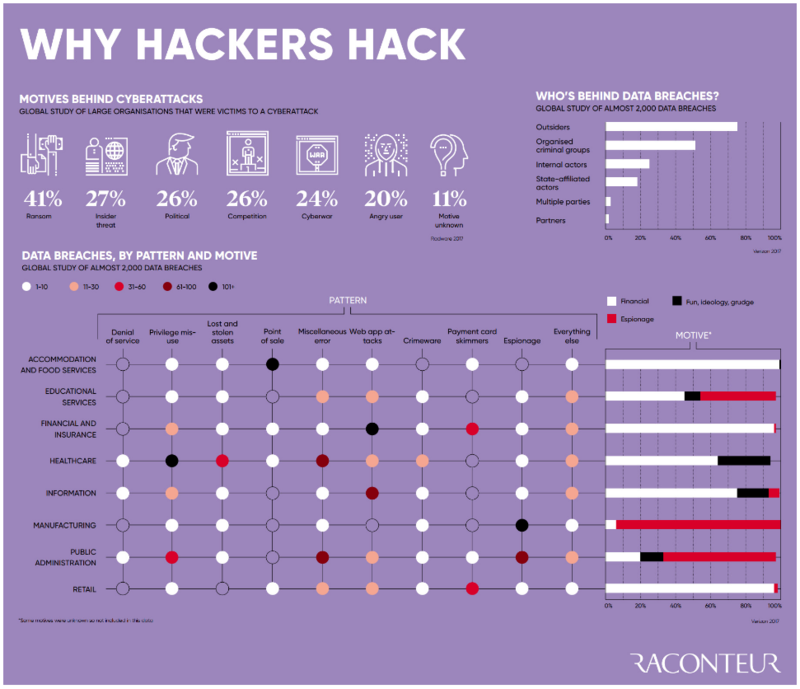 While the actual numbers are still be tallied, let’s take a look Raconteur’s infographic on what motives cyber attacks. Why do hackers hack? Who is behind the data breaches?